Many people are afraid of making a mistake when decorating their home so they leave things undone or they simplify too much. The number one mistake I see is FEAR OF COLOR. 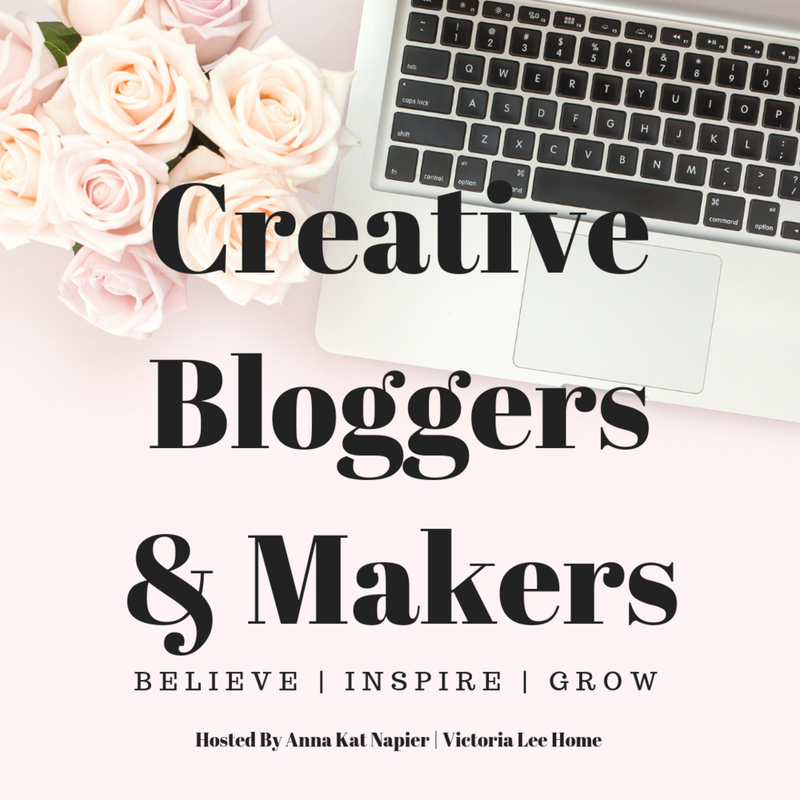 I’m here to tell you, color is your friend! You need a little bit of color in order for your room to have more dimension PLUS it makes your space feel more cozy! If you are nervous about choosing a paint color that will work for you, check out my article, AN INTERIOR DESIGNER'S TRICK TO SELECTING PERFECT PAINT COLORS YOU'LL LOVE EVERY TIME. 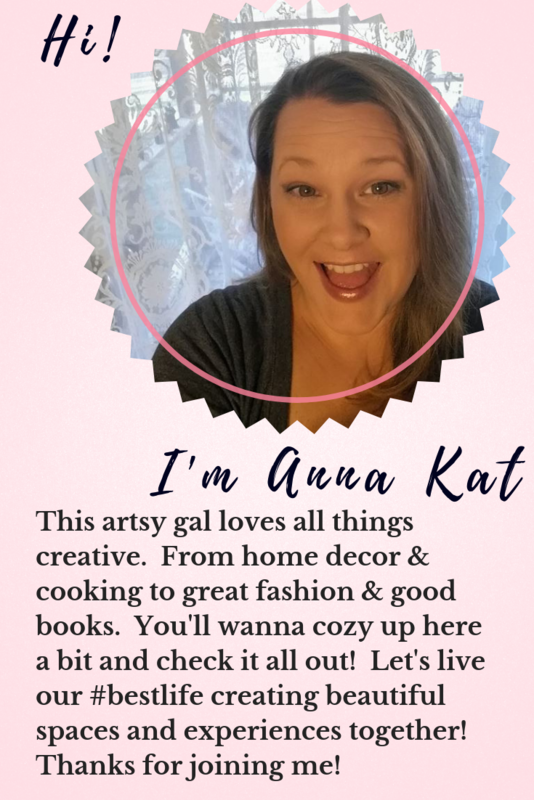 In this article I break down exactly how to choose a paint color you will love and I even tell you how to test it MESS FREE! In the cover photo above, the room itself is neutral. The sofa, the walls, even the window treatments are fairly neutral. The pop of color comes from the lavender. If your favorite color is red -go with red. If it’s blue - go with blue! Notice that there are various shades of purple in this room. That creates dimension and interest. Everything does not have to match exactly. I always say, you should coordinate rather than match. One of the most popular colors to use for wall paint is blue. Blue evokes a sense of calm relaxation and is perfect for living rooms, bedrooms, and bathrooms. Since gray is such a popular color right now, many blue/grays are available. I also love a pop of a bold navy on a cabinet or accent wall. 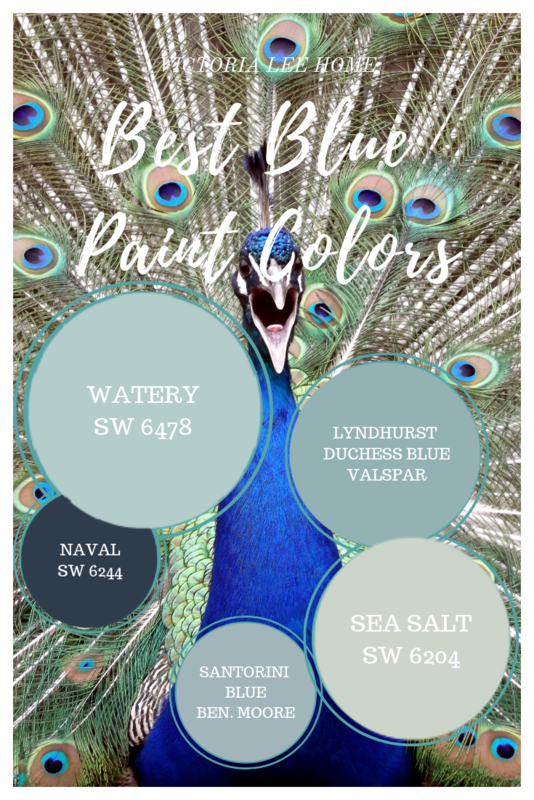 I’ll share some of my favorite blue paint colors below. You can also VISIT MY PINTEREST PAGE to see more of my favorite color palettes. A rug is the anchor to the furniture in the room. If it’s too small, the furniture can feel like it’s floating around by itself in a space that doesn’t look finished or cohesive. Now the furniture placement appears to be intentional. This is what we refer to a conversation area and it’s all held together by the rug. I absolutely discourage you from buying a matching furniture set. Your room should look like it was curated over time. Your furnishings should have varying textures of wood, glass, and metal. 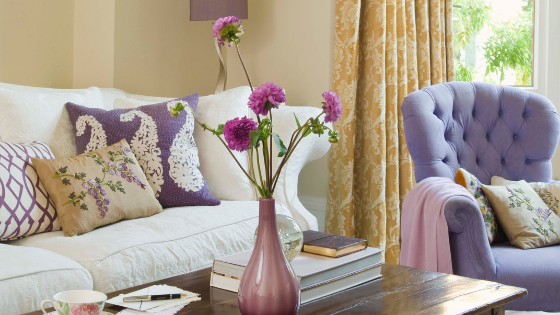 Your upholstery, window treatments, and soft accents (pillows, bedding, etc) should also vary. This creates INTEREST in the room. Just as everything is the space should vary in height, so should the furniture pieces vary from each other. 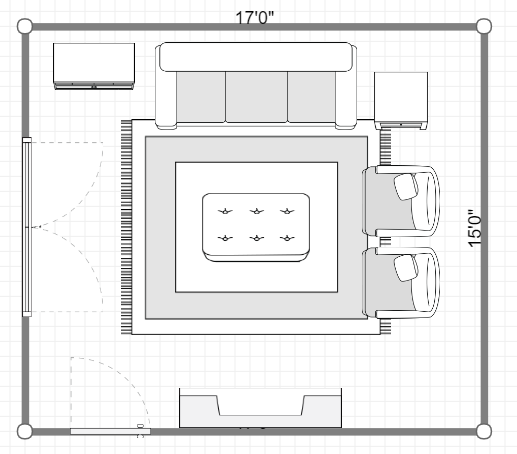 Of course, not every single space should have wood, glass, and metal but if you go to a furniture store and buy a “room” set, it's going to be obvious that’s exactly what you did. If you select and COORDINATE each piece, it will look like a designer did it. In this space, the sofa, loveseat, and chair all match. The end tables also match with the coffee table. This room looks like it was taken directly from a retail store. Alternatively, this room features coordinating rather than matching furnishings. The chairs coordinate with the sofa because of the blue color being used in the pillows on the sofa. The end tables match each other (totally okay) but they contrast with the coffee table. This room looks like it was created by a designer or a homeowner who lovingly selected each piece individually. That’s your goal - to make it look like you hand-selected every item and put them all together in a well thought out design. 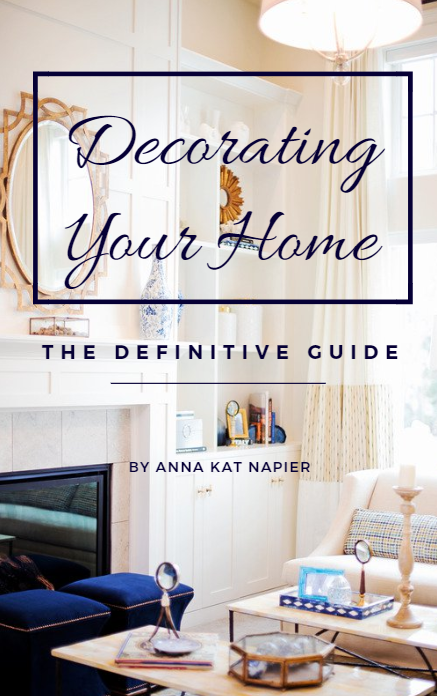 If you found these tips helpful, you make also enjoy my eBook, Decorating Your Home: The Definitive Guide. It’s currently available in my online shop. I also have a FREE guidebook that lists 15 different interior design guidelines that most people don’t know. I hope you’ve found these tips helpful. I’d love to see your rooms when you get finished. If you post them on Instagram, be sure to tag me and use #victorialeehomehacks for a chance to be featured on my page!